Former Borussia Dortmund coach Jürgen Klopp has backed Mario Götze to rediscover his old strengths following an indifferent run of form that has seen the midfielder fall down the pecking order for club and country. Götze - who played under Klopp at Dortmund, winning back-to-back Bundesliga titles, the 2012 DFB Cup and reaching the 2013 UEFA Champions League final - has only made 16 starts in the Bundesliga this season and was left out of the Germany squad for the March friendlies against Spain and Brazil. "Mario Götze isn't a worse player now than when he was in his youth," current Liverpool boss Klopp told Sky, before recalling the Dortmund youth product's decision to swap BVB for record German champions Bayern Munich in summer 2013. "It wasn't just his choice to go to Munich," Klopp remembered. "His family wanted it, and Bayern obviously wanted him. It didn't quite work out for him, but now he's in top condition again. He just needs a bit of normality." Götze played a bit-part role in successive title wins in his three years at Bayern, during which time he famously scored the winning goal for Germany in the FIFA 2014 World Cup final against Argentina. He returned to Dortmund in 2016, but a combination of injuries and a career-interrupting metabolic condition have hampered his efforts to get back to his world-beating best. 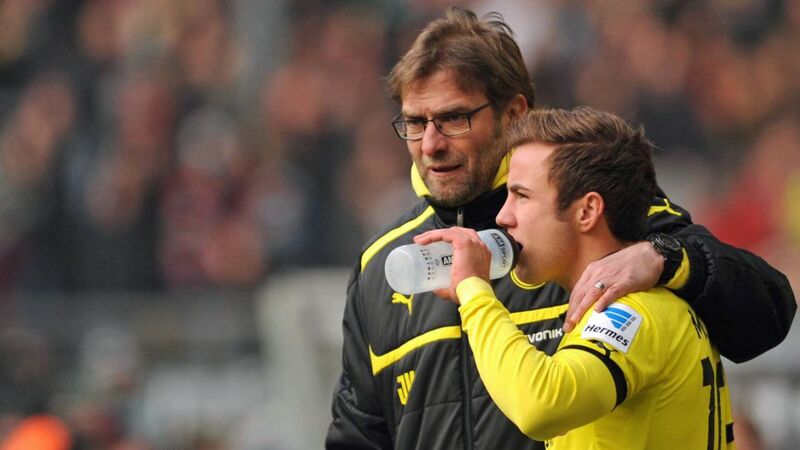 Klopp has never been shy in expressing his admiration for Götze, in any case. He handed him his Bundesliga debut at the age of 17, and recently singled out his former charge as "the best young player I ever coached."